The Adventures of Rocky & Bullwinkle & Friends Super Nintendo SNES Ex Condition! THE ADVENTURES OF ROCKY AND BULLWINKLE & FRIENDS FOR SUPER NINTENDO SNES! 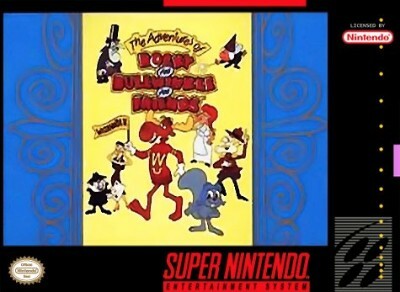 The Adventures of Rocky and Bullwinkle and Friends (Super Nintendo Entertainmen?